Haconut does one product. And gentle reader, do they ever do it well. 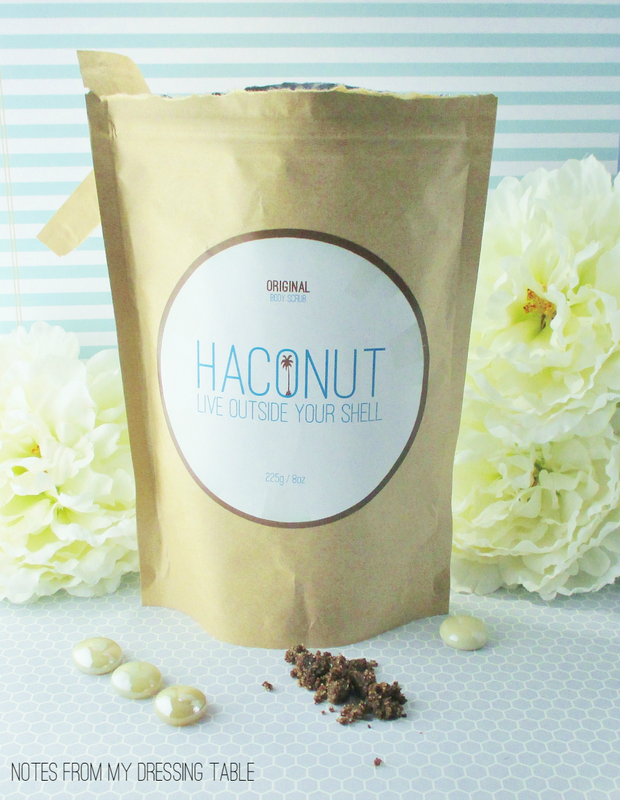 Haconut Original Coconut Scrub is a delicious mix of natural, organic ingredients that slough off dead dry cells and flakiness, hydrate and beautify the skin. 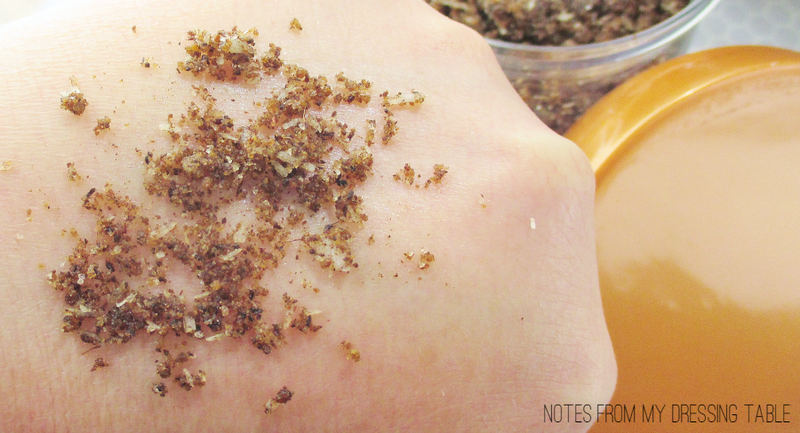 An all-natural, organic, coconut-based body scrub. Our scrub is unique because we use pure coconut shell powder as the exfoliating base, infused with nourishing cold-pressed organic virgin coconut oil (helps keep your skin smooth, glowing, and moisturized), macadamia nut oil (powerful antioxidant and supports healthy healing of the skin), and other organic skin-loving oils (known to help with acne, skin inflammation, and anti-aging). We finish off the luxurious blend with pure coconut palm sugar (great exfoliant & generates fresher, younger-looking skin), mineral-rich Himalayan pink salt (helps draw out toxins & deep cleanses), and organic coconut flakes for added skin benefits. 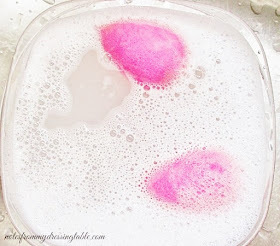 After scrubbing and rinsing, your skin is left feeling soft and lightly moisturized. 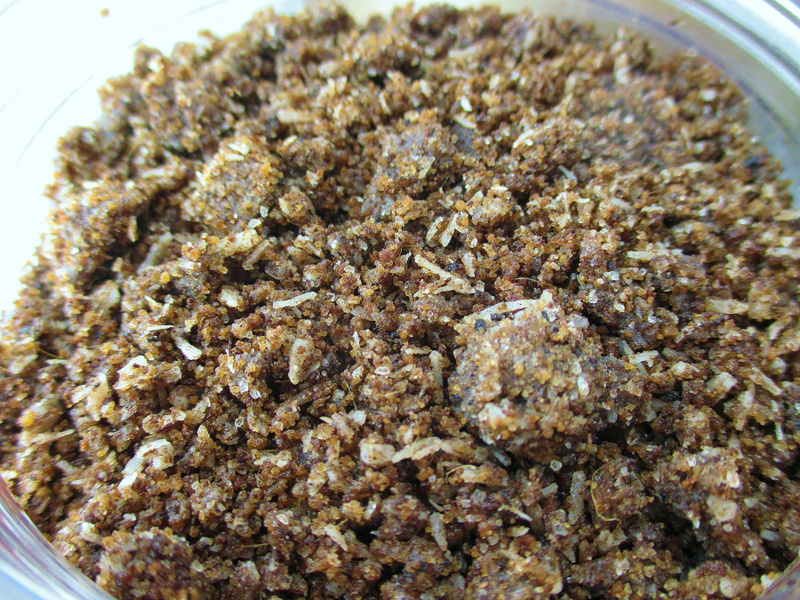 Our coconut scrub can help target dry/flaky skin, acne, cellulite, and eczema. Visit our FAQ page for more info. 10% of all sales go to our favorite charity, Mercy Ships. This stuff is no joke. This scrub works. 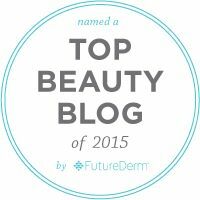 It makes my skin look and feel soft, smooth and glowingly fresh. I highly recommend it! 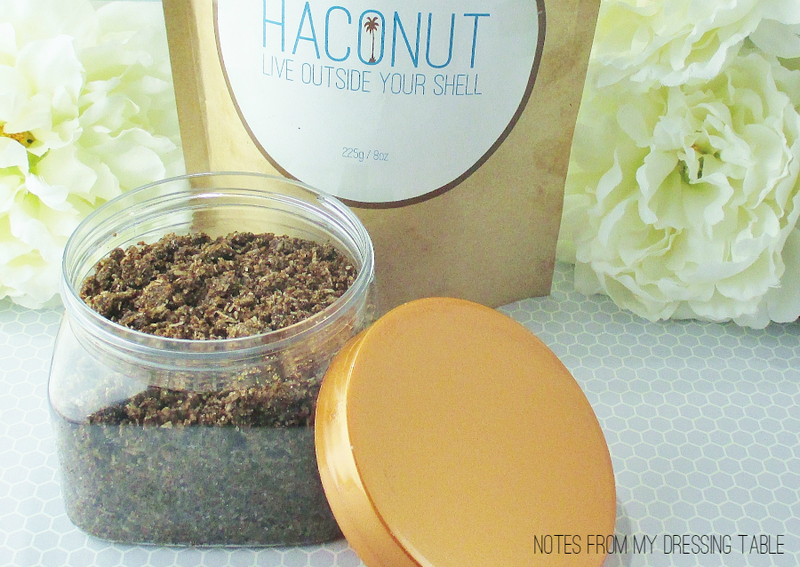 Haconut Original Coconut Scrub comes to you packaged in a resealable plastic lined paper bag. I just can't with that packaging in my shower so I transferred the contents to an empty, cleaned out scrub tub I had lying around in my empties bag. Just look at that rich, gorgeous goodness! Sugar, natural oils, real coconut, coarse salt... Mmm! And it smells as good as it looks. Warm, nutty, slightly sweet. You might be tempted to take a bite. Don't do that. Curious about what's in it? Allergy warning: This product contains nut oils and coconut. Haconut says that the best way to use this scrub is to get naked, get wet, grab a few handfuls and apply all over in a circular pattern. Leave it on your skin for a minute or two and rinse. Just be careful, this scrub can leave the tub or shower a bit slippery. Use a mat, step with care. Haconut not only makes a beautiful product, they give back. 10% of all sales goes to Mercy Ships, a charity operating hospital ships that sail into ports in Africa and provide top flight, no cost medical care to people in need. 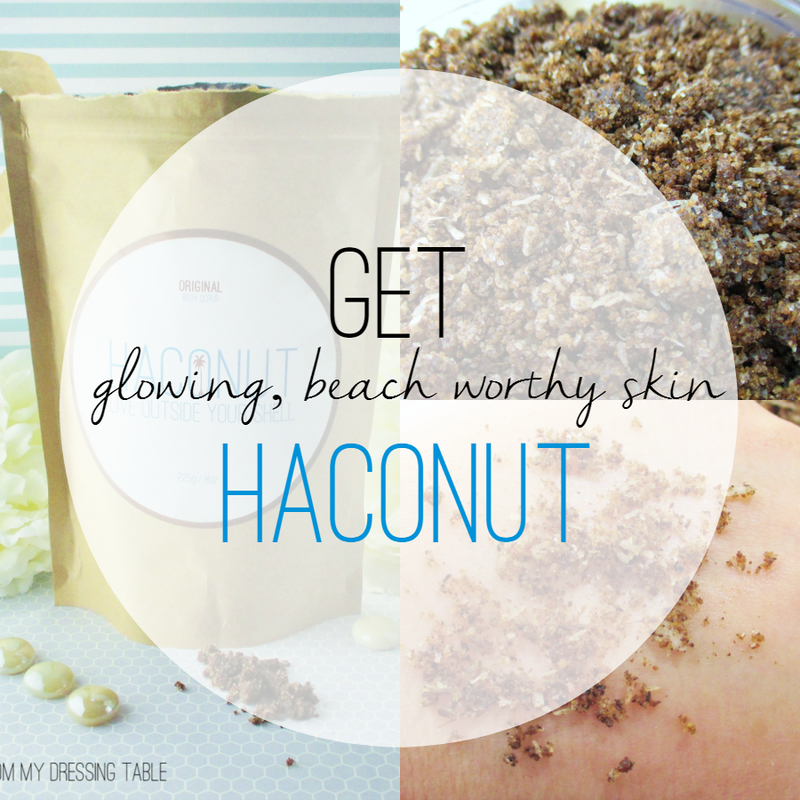 Haconut Original Coconut Scrub is made with pure, all natural ingredients. This scrub is cruelty free and vegan. If you or anyone in your household have any nut allergies, you'll want to pass on this one. Check out Haconut on Facebook, Twitter and Instagram. Tell me, have you tried this scrub? What did you think of it? If you would like to give it a go you can find it here. This looks and sounds amazing! I like to support local businesses as well! Lovely and informative review! You had me at coconut. Not only does this scrub sound incredible, but I love that it is local and helps a nonprofit organization. This scrub looks so natural and inviting. I would definitely follow suit and put it into a shower-friendly container too! Oh girl you are speaking my language, I need to try this out! What an interesting scrub. I'm sure they keep the price down by packaging it in a bag but it did need to be transferred. I had to pass on trying this scrub because I am overwhelmed with reviews right now, but it sounds like a fabulous product!! It looks like such an awesome scrub! You had me at coconut. I love scrubs, and this one sounds amazing. That looks like an awesome scrub! This looks so nice, I love natural scrubs! I'm a scrub freako and I love all things coconut! WHY must all of these scrubs look and sound so good that I want to make cookies with them?! I love great-smelling scrubs, but I hate feeling hungry after using them! lol. Sounds like there's all kinds of great stuff in this scrub, and it's great that they give to charity, too. I hear nothing but great things about this!